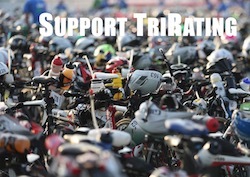 The first round of qualifiers for Kona 2012 has been decided and will probably be announced by WTC in the next few days. But as there are no more races that hand out points, so we can already have a closer look. It remains to be seen if all athletes accept their slots (their were some declines last year). There will be second round of qualifiers at the end of August: 10 more for the men, and 5 more for the women. Update: Raynard Tissink was missing on the official WTC list, instead Michael Raelert was assigned a July spot. There were some rumors that Raynard Tissink stopped racing professionally, but I’m still trying to find out some more info. Greg Bennet was also not listed as an automatic qualifier, not sure why that would be the case.